Vehicle miles traveled in the U.S. rose in March after taking a slight pause in February, the latest data from the Federal Highway Administration (FHWA) shows. FHWA’s monthly “Traffic Volume Trends” report shows driving reached 273.4 billion miles in March, a 5 percent, or 13 billion mile, increase from March 2015, and a 41.4 billion mile jump from February. VMT rose for much of 2015, topping off at a record 3.148 trillion miles, and roaring past the previous annual high of 3.049 trillion miles set in 2007, prior to the Great Recession. FHWA has repeatedly said the growing traffic volume reinforces the need to increase federal investment in transportation infrastructure. The transportation system is being stressed by a rapidly growing population, increased freight volume, demographic shifts in rural and urban areas and more frequent extreme weather events. 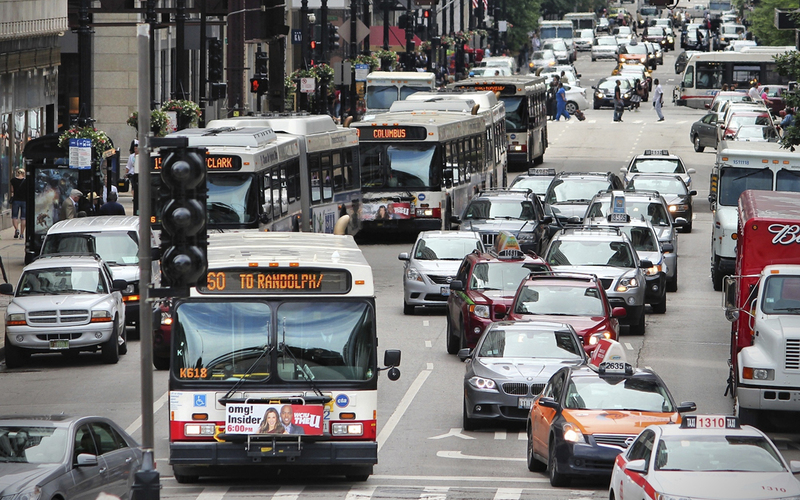 Gridlock will increase nationwide unless investments are made in the near-term, the U.S. Department of Transportation wrote in its 2015 “Beyond Traffic” report.